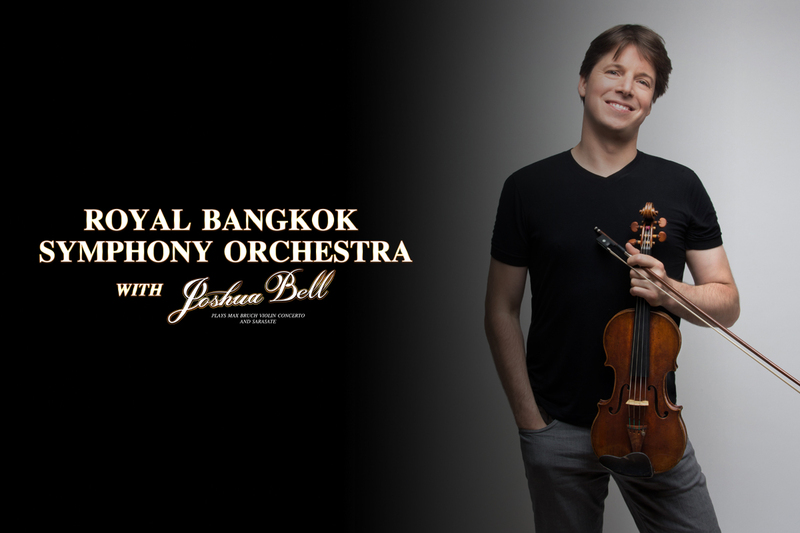 The musical stars align on September 4, 2018 when Joshua Bell, one of the most celebrated violinists of his era joins hands with the Royal Bangkok Symphony Orchestra to bring lucky audience members Max Bruch’s Violin Concerto as well as Pablo de Sarasate’s Zigeunerweisen. This will be a one-of-a-kind and not-to-be-missed musical masterpiece never before witnessed in Bangkok, in honour to King Rama X, featuring other difficult works of the 19th century repertoire, such as Carl Maria Von Weber’s 1832 overture to the opera Euryanth as well as Johann Sebastian Bach’s Chaconne. Under the baton of Charles Olivieri-Munroe, another new name to Bangkok who has conducted an impressive array of orchestras – the Sydney Symphony Orchestra, the Israeli Chamber Orchestra and the Bremen Symphony Orchestra to name a few – the night is set to end with many a “Bravo!” and “Bravissmo!” With many talents gathering under one roof, there is still no doubt that Bell will be the centre of the concert. The Indiana-born violinist has been charming audiences since the tender age of 14 when he performed his first concert with Riccardo Muti and the Philadelphia Orchestra. With 30 years’ worth of experience as a soloist, chamber musician, recording artist and conductor, he’s surprisingly a very down-to-earth and typical American guy with a very “untypical” talent when it comes to his violin. An exclusive Sony Classical artist, Bell has recorded over 40 CDs which have received Grammy, Mercury, Gramophone and Echo Klassik awards. This doesn’t mean he avoids modern concertos. In fact, if you haven’t heard of his name, you may have already heard him playing, that is, if you watched the famous movie, The Red Violin, which was specifically written for Bell by the famous composer John Corigliano. The concert will take place at 8pm on Tuesday September 4, 2018 at 8pm the Thailand Cultural Centre, Main Hall. Tickets are selling fast! Purchase yours at www.thaiticketmajor.com. For more information, visit www.bangkoksymphony.org. Featured photo courtesy of Shervin Lainez; remaining photos courtesy of RBSO.